Physiotherapy is a regulated health profession that can help decrease your pain, increase your strength, mobility, endurance, and quality of life. All Physiotherapists at Georgian Bay Physiotherapy Inc are movement specialists, who are university educated and registered with the College of Physiotherapists of Ontario.After a comprehensive one -on-one assessment, your Physiotherapist will design a personalized treatment plan that is focused on achieving your goals of returning to your work, sports and activities of daily living. To learn more about the profession of Physiotherapy please refer to the Ontario Physiotherapy Association website: http://www.opa.on.ca/ or watch the following short video from the Canadian Physiotherapy Association. 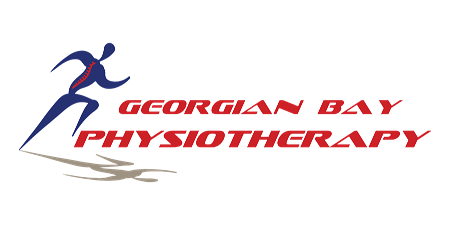 What is Georgian Bay Physiotherapy's philosophy? The Physiotherapists at Georgian Bay Physiotherapy utilize the best available evidence to help you achieve your goals. Treatment times are a minimum of 30 minutes each and assessments are up to one hour long. We take the time to make sure every concern is being addressed and that you fully understand your injury and the steps we are going to take to get you back to work, sport or your activities of daily living. We place a strong emphasis on “active rehabilitation” which means you are participating in your own recovery whether it be through a home exercise program your physiotherapist has designed or through preventative strategies your physiotherapist has taught you in order to avoid re-injury. Do I need a Doctor's referral for Physiotherapy? Physiotherapists are primary health care practitioners and a Doctor’s referral is not necessary. However, please refer to your individual health care plan to ensure a referral is not required for payment of services. How is Physiotherapy paid for? If you have extended health care benefits, we can either directly bill your insurance company or you simply mail in your receipts for a refund for your services. Each plan has different limits so you may want to refer to your individual plan for details. The initial physiotherapy assessment plus your first is $80 (45 minutes) and any recommended treatments are $55 (30 minutes). Massage Therapy is $75.22 +HST for 1 hour and $50+HST for 30 min. Kinesiology visits are $35 +HST. Services are also covered by motor vehicle insurance if you sustained injuries in a car accident or WSIB if you were injured on the job. Finally, physiotherapy is also covered by Veteran Affairs.